Ramblings of a Daydreamer: Happy Release Day to Abducted Life by Patricia Josephine! 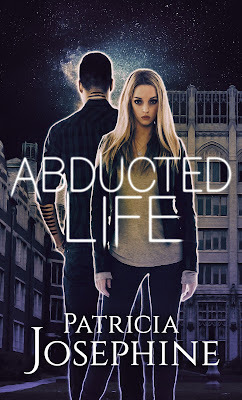 Happy Release Day to Abducted Life by Patricia Josephine! My friend Patricia Josephine (aka Patricia Lynne) has a new book out! 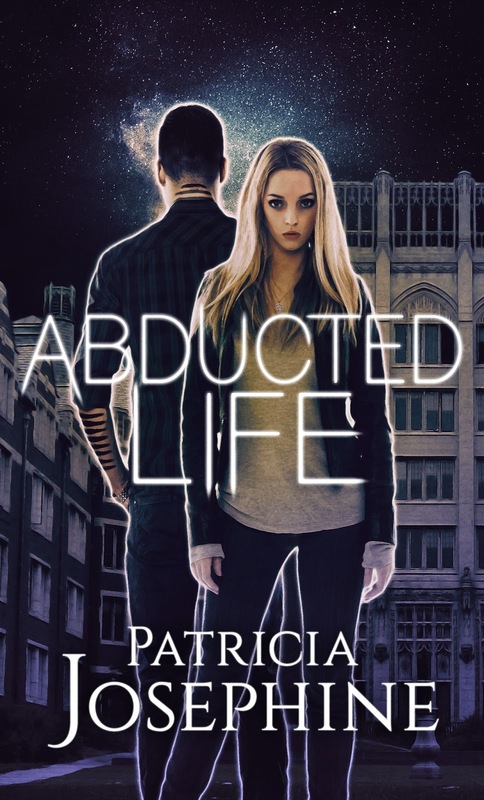 I had the pleasure of beta reading Abducted Life, and I loved how original it was - just like all of Patricia's other books. Plus, would you look at that cover? So beautiful. Read on to find out more about Patricia's newest release, read a teaser, and find out where you can buy the ebook. Evan Sullivan never gave extra-terrestrials much thought until the night he and Savannah were abducted. While Savannah’s memory was wiped clean, he remembers every horrific detail. Constantly reminded of the experiments that made him less than human, Evan hides in the shadows and watches Savannah rebuild her life without him. But neither can let the other go. When their paths cross, Savannah and Evan finally see a glimmer of their old lives return. As they face what happened to them, they soon discover they aren’t safe. There’s more to fear than what’s hiding in the stars. You can find her lurking on Twitter, Google+, Goodreads, and Wattpad. Find the latest news at her website or sign up for her newsletter. A link to all her books can be found here. Want a little teaser from Abducted Life? Read on! White-hot light stung his eyes. The roar of an engine shook his eardrums, threatening to burst them. His arms and legs were pinned to the cold ground. Above, a massive craft hovered. It was black and sleek, like a giant Porsche with wings instead of wheels. Turbines beat out a frantic rhythm, and yellow lights flashed along its belly. With a low warble, the craft lifted up, vanishing among the stars in a matter of seconds. Silence settled over the field. He rose to his feet. His only thought was to reach the girl lying motionless nearby. He stumbled across the flattened grass to Savannah. Her skin was washed white in the moonlight, and her strawberry blond curls were in tangles. She didn’t respond to his touch, but her breathing and pulse were steady. He gathered her into his arms. The unconscious girl sprawled at his feet made him pause. He reached for her, but the dark green stripes coloring his arm made him recoil. He couldn’t allow her to see him either. She wouldn’t remember and would be repulsed with what they had done to him. He curled his fingers into a fist and ran to the edge of the field where the trees promised safety. Hidden, he watched the police cars turn onto the field, kicking up dust in their wake. They skidded to a stop. Their headlights illuminated Savannah. Officers hurried to her with their hands on their guns. One knelt next to Savannah and placed two fingers on her neck. The officer beside Savannah shook his head. He stared at the starry sky. An ambulance’s red and white lights flashed in the darkness. Its call was mournful. The paramedics tended to Savannah. She woke as they worked. Tears blurred his vision when she whispered his name. But he wasn’t. He sank into the shadows of the forest and vanished. Buy Abducted Life now for just 99 cents! OMG I was scrolling through Instagram and saw your post of Abducted Life and totally squeed. *squishes* Thanks for all the help. This sounds like it has a really cool premise. I am definitely intrigued. VICTORY IS MINE! Or something. ;) Thanks.